What do you do when your Veyron needs an oil change but your (ahem) local Bugatti dealer wants to lighten your wallet of $21,000 for the privilege? You do it yourself, of course. No, wait, we don’t mean that. 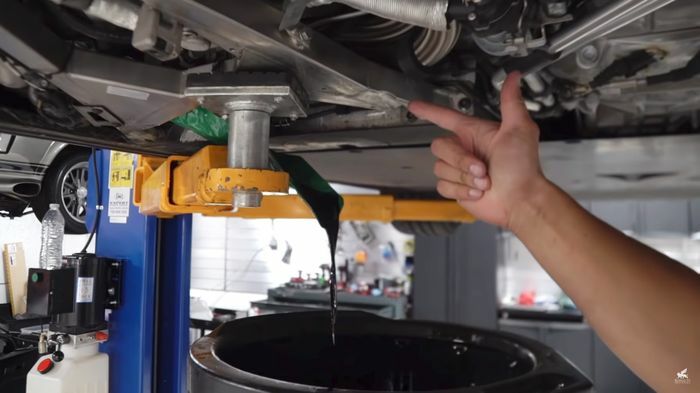 Attempting to change the oil on a Veyron’s quad-turbocharged W16 is surely asking for trouble. But the guys at Royalty Exotic Cars have just done exactly that with company owner Houston Crosta’s own Mansory Veyron. The car looks suspiciously similar to the one that burned through its tyres in a Daily Driven Exotics video from three months ago… a car that Bugatti’s Los Angeles dealer reportedly refused to work on. 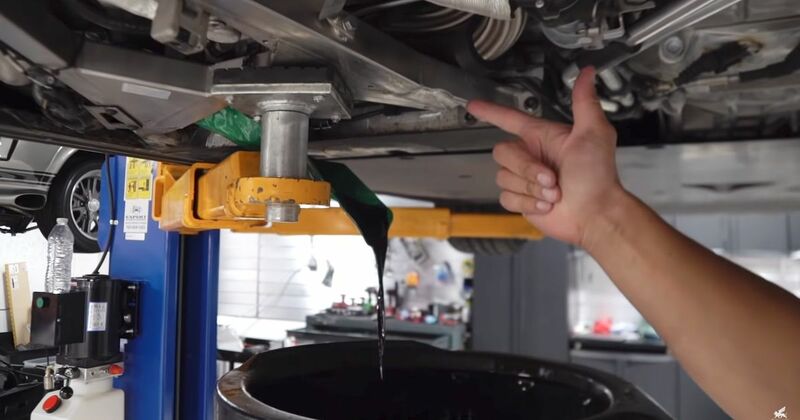 This pretty slow-moving video follows the whole process from lifting the car to draining the 15.6 litres (16.5 US quarts) of oil, including swapping out a few tired or damaged parts along the way. The hardest part was getting the bodywork off to complete work around the back and side of the engine, but the rest… well, it doesn’t seem to be that hard at all. So there you go, all you budget-conscious or spanner-handy Veyron owners in the CT community. Save yourself some cash next time your service is due and whip the 16(!) drain plugs out yourself. Also, send us footage.